“She's no different. She and people with Down syndrome have a different outlook on life. She just completely changes your perception of life,” father says. 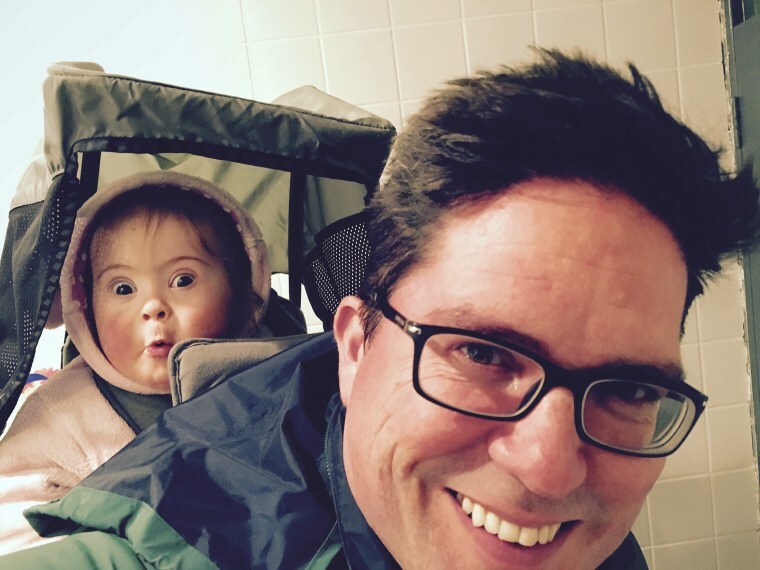 Rosie Barnett’s parents didn’t know what to expect when they learned that their fourth child was diagnosed with Down Syndrome. They were handed booklets filled with information about the condition, but the baby girl's future was uncertain. Even Dwayne 'The Rock' Johnson weighed in. “A child with down syndrome often requires specialized instruction in functional or 'real world' academic skills. In addition to academics, it is important that educational programming include training in independent living skills, community skills, and vocational skills. With these supports in place, a child with Down's will continue to make gains throughout his or her life,” she added. She has a completely different outlook on life. She's curious, shows no hate, and loves everything around her. She just completely changes your perception of life. But when caring for a child with Down Syndrome, cost is the last thing a parent thinks about, Kneen said. Rosie is thriving at school and also at home; and she's learning to be resilient. That is the ultimate reward, he added.